Masticating juicers – also known as cold press or slow juicers – occupy the mid-range between affordable centrifugal juicers and expensive triturating juicers. They are more efficient than the centrifugal variety while remaining reasonably priced. Masticating juicers offer plenty of torque, quiet operation, and longer juice shelf lives. They are also far more versatile than their centrifugal cousins. Keep reading for reviews of the best masticating juicers in 2019 and a thorough buyer’s guide complete with FAQ. The Omega NC900HDC is a mighty and compact masticating juicer. It offers ample torque and excellent sturdiness. It also features a modern and sleek design. If you’re looking for a stylish and powerful cold press juicer, make sure to check out this model. The Omega NC900HDC Juicer Extractor is run by a powerful 150-watt motor. The motor provides superior torque while using far less electricity than an average centrifugal juicer motor. It is paired with a single auger and spins the ingredients at 80 revolutions per minute. This juicer has five adjustable pressure settings to match the ingredients. It is recommended to use the lowest two for leafy greens and soft veggies, while the top settings are reserved for pineapples, carrots, apples, and beetroots. The Omega NC900HDC has a high yield and produces very dry pulp. It is equipped with automatic pulp ejection, making it perfect for frequent users and those who want to make large quantities at once. 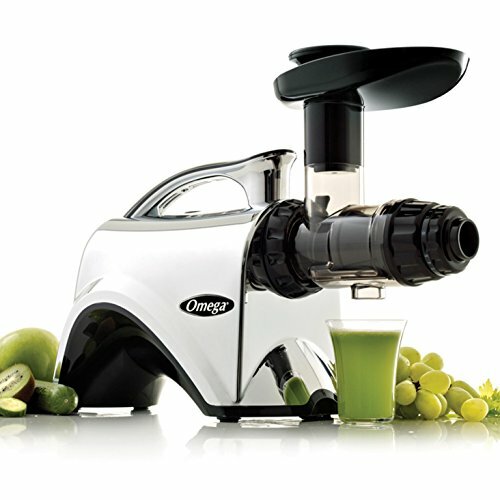 Aside from juicing, you can use the Omega juicer to make baby food and all sorts of nut butters and frozen desserts. You can also extrude pasta, whip soy milk, and grind coffee and spices, provided you have the proper attachments. This is a horizontal juicer with a built-in handle on top. It is lightweight and very stable. It is compact and doesn’t require much space on the counter. The juicer is also easy to assemble and disassemble, and the removable plastic parts are dishwasher safe. The best thing about this juicer is its high-torque motor and five pressure settings. Also, it features a modern construction, stylish design, and silent operations. 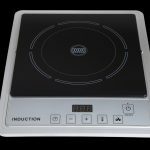 You can use it to prepare a wide range of foods aside from making veggie and fruit juices. Finally, it has automatic pulp ejection. Perhaps the only downside of this juicer is its somewhat fragile juicing screen. The Hurom H-AA Slow Juicer is a vertical masticating juicer that can also perform many other tasks. It boasts silent operation, a powerful motor, and a small footprint. Additionally, it is packed in a stylish housing made of sturdy materials. If you value looks as much as function, you should give this juicer a chance. The Hurom Slow Juicer sports vertical construction to save space on your kitchen counter. It is tall and elegant in its combination of polished metal and matte plastic parts. Hurom offers this model in several color options, including matte black, rose gold, white, and silver. The juicer sports a 150-watt motor that can squeeze the standard range of hard and soft fruits and vegetables. Additionally, it’s also a food processor that can handle foods like nuts, soybeans, and leafy greens. You can make tofu, nut butter, milk, baby food, ice cream, and other stuff with this cold press juicer. You can adjust the power with the built-in control lever. Keep in mind that you should first defrost all frozen ingredients. You should also pit hard-seeded fruits such as peaches, mangoes, and cherries before putting them in the juicer. The ingredients should be cut into pieces of no bigger than 3-5 centimeters. The plastic parts of this juicer are made of durable BPA-free plastic and are easy to clean. You can also put them in the dishwasher after you’ve rinsed them in the kitchen sink. The H-AA Slow Juicer also has a sizable pulp container and a compact juice cup with an adjustable spout. The Hurom H-AA Slow Juicer is a powerful and sleek juicer. It takes up very little space and boasts an elegant design. The plastic parts are BPA-free and dishwasher safe. The package includes both juice and pulp cups. This juicer is easy to disassemble and clean. Finally, you can use it to make other foods, such as ice creams, nut butter, baby food, and others. Some ingredients need long preparation before juicing. 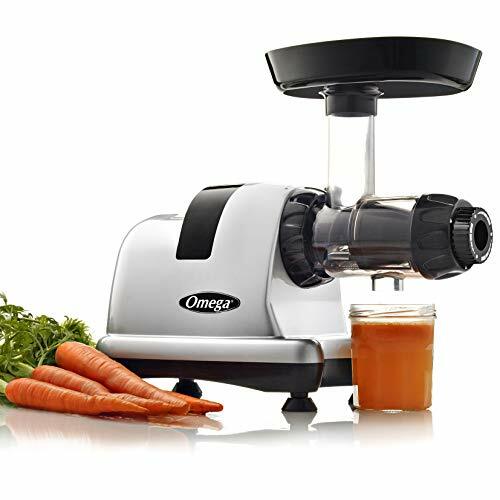 The Omega J8006HDS Nutrition Center is a sturdy horizontal slow-speed juicer. It uses cold press technology and is among the strongest models out there. It is a great all-round model though leafy greens are its forte. If you make a lot of kale and spinach juice, make sure to give this juicer a chance. The Omega J8006HDS Nutrition Centerhas a powerful 200-watt motor that spins at a respectable 80 revolutions per minute with lots of torque in reserve. The juicer also has an excellent reduction, giving it the power output equivalent of a 2 HP engine. The motor emits minimal heat due to the low rpm and is among the quieter cold press motors out there. The motor is paired with a single auger that made of super tough GE Ultem plastic. It is 8 times as strong as the material used in older Omega models, significantly improving the durability of the newer models. The auger is removable and easy to clean. It is also dishwasher safe. Make sure to rinse it to remove pieces of pulp before putting it in the dishwasher. Thanks to the slow juicing process, the juices made by cold press juicers have longer shelf life. You can drink them up to 48 hours after juicing because the motor produces negligible amounts of heat that discourage oxidation. This way, the juices also retain more of all the healthy nutrients. 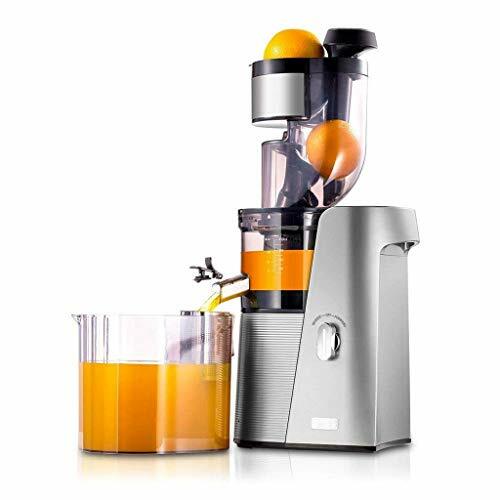 The Omega J8006HDS is a sturdy cold press juicer. Though it can successfully tackle a wide variety of tasks, it truly shines with squeezing all the good stuff out of leafy greens. It has an excellent motor and a GE Ultem auger. It also features automatic pulp ejection. The extracted juices last up to 48 hours. Because of a somewhat narrow food chute, you’ll have to spend more time cutting up the ingredients. The Tribest Slowstar is a super-slow juicer that can double as a mincer. It is a vertical model with a small footprint and a powerful motor with plenty of torque. If you’re looking for a vertical masticating juicer that’s also versatile and powerful, you should look up this Tribest. The Tribest Slowstar's main strength is the dual-blade auger that cuts fruit and veggies twice as fast as a single-blade auger. It is made of super durable Ultem plastic that’s 8 times tougher than standard plastic materials. Most importantly, it is BPA-free. The engine on this model is rated at 200 watts. The Tribest features a 3-stage reduction and a top speed of 47 revolutions per minute. Thanks to the multi-stage reduction, this motor offers 30 lb./ft. of torque which is on par with a 9hp motor. You should use the lowest setting for leafy greens and soft veggies, while the top settings are for the toughest ingredients. Aside from the standard repertoire, the Tribest Slowstar can also act as a mincer. The package includes the mincing attachment that you can install on the juicer in a matter of seconds. With the attachment, you can make salsa, nut butter, sorbet, ice cream, and a wide range of healthy snacks and meals. This juicer has a 26-oz. pulp container and a 26 oz. juice can. Both are made of BPA-free plastic and are easy to mount and dismount. They can be washed in the dishwasher, too. Before putting them in the dishwasher, make sure to rinse them, and scrub as needed. The Tribest Slowstar has an immense torque and is pretty quiet. The other highlights include the Ultem double-blade auger and BPA-free plastic containers. 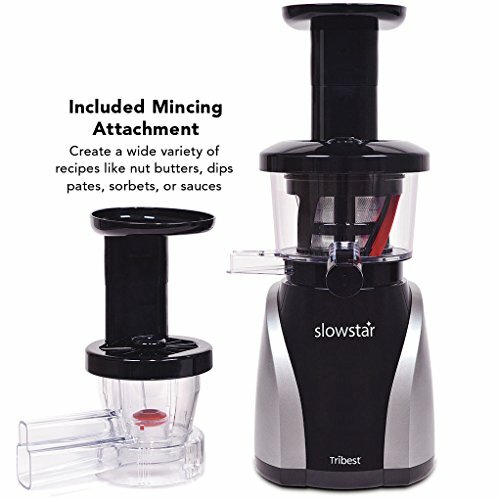 With the included mincing attachment, you can make sorbet, ice cream, salsa, and nut butter. Owing to the narrow chute, you might have to spend more time preparing the ingredients. The SKG Cold Press Juicer is a low-spin masticating juicer. It has a powerful motor and a wide food chute. It is easy to set up and dismantle, and the moving parts are dishwasher safe. If you’re looking for a super-slow cold press juicer, this model might interest you. The SKG Cold Press Juicer has a powerful 250-watt motor. It works at 36 revolutions per minute and is paired with durable reduction gears that give it a lot of torque. In turn, the immense torque gives it the ability to squeeze even the toughest veggies and fruits. This juicer is capable of high yield and as a result, very dry pulp. It can get 70% of out of an orange and 55% out of a carrot and up to 81.3% for pears (percentages in weight). The shelf life of the juices is 48 hours, far exceeding any centrifugal juicer. The flip-over food chute is 3.15” wide and has a separate compartment for carrots and similar produce. The auger is made of high-grade dishwasher-safe plastic. This juicer also features two stainless steel strainers. Use the rough one for more pulp or the finer strainer to trap most of the pulp. The SKG Cold Press Juicer is easy to assemble and disassemble. Also, it is easy to clean and you can wash the plastic parts in the dishwasher. The motor has plenty of torque for handling even the toughest produce. Finally, it is equipped with a wide 3.15” food chute. While a great juicer overall, the SKG Cold Press Juicer could be a bit sturdier. When shopping for a masticating juicer, you should take several things into account before making the final decision. First, you should consider the size and shape of the juicer and whether it fits your kitchen counter. Aside from that, you should make sure you’re buying a high quality and durable product. Cold press juicers rely on pressure to juice rather than high rpm. The power of the built-in motor is used mostly to deliver torque. Finally, you should consider how easy or complicated it is to maintain a particular juicer. With these things in mind, let’s see how to tell the best masticating juicers apart from the rest. The size and shape of the juicer may affect your decision based on the size of your kitchen and countertop. There are two main styles – horizontal and vertical. If you have plenty of space on your kitchen counter and want a very stable juicer, then a horizontal masticating juicer is the best option for you. On the other hand, if you want something more streamlined and with a smaller footprint, you should go with a vertical model. The torque transfer is far more efficient with horizontal masticating juicers, but due to the config, they usually don’t come with juice pitchers, unless we’re talking about massive industrial juicers. Another important aspect to consider here is the width of the food chute. Masticating juicers tend to have narrower chutes than their centrifugal siblings – that’s by design, as it’s much harder to masticate large pieces of ingredients. This means you’ll have to spend extra time preparing the ingredients. The housing, food chute, and pulp and juice containers are usually made of plastic. As is the norm these days, BPA-free plastic rules the day. The motors are usually more durable than those in centrifugal juicers as they don’t overheat. 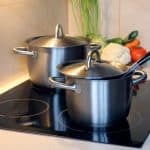 Most models have two strainers – fine and coarse – that are made of rust-free metal. The auger is probably the most fragile part. Ultem plastic, as the name suggests, can withstand ultra-high temperature and is thus the most durable. But all the durability in the world may not mean much without high performance. In this regard, you will usually get what you pay for. Masticating juicers work by… guess what… masticating the food – almost like the mouth and stomach of masticating animals like cows. So, as you can imagine, the revolutions per minute don’t matter. Rather, they depend on pressure and grinding action. They do have to spin the food, albeit slowly, to grind and prevent things from getting stuck. The low rpms mean that masticating juicers make far less heat and in turn doesn’t transfer as much heat to the juice. This is why they don’t oxidize the juice nearly as much as centrifugal juicers. This means extended shelf life for the juices. Compared to a centrifugal juicer’s 5-8 hours, the juices that you get from a masticating juicer can easily last 24 to 48 hours. And that’s on the conservative side – you can usually push it to 72 hours shelf life or more in the fridge. In terms of nominal power, masticating juicers don’t need as much power as centrifugal models. However, what they lack in sheer wattage they more than make up in tremendous amounts of torque. Instead of high spin, masticating juicers use reduction gears to transfer the torque for squeezing every last drop from the fruits and veggies. This means that you’ll get far more juice than you would with a standard centrifugal model. Likewise, the pulp would also be much drier. On the downside, making juice with a masticating juicer takes considerably more time. Thanks to the lower rpm, they are much quieter than those centrifugal speed demons. It is unlikely that you’ll ever wake somebody up with a masticating juicer. A good masticating juicer should be easy to maintain and clean. You shouldn’t have any problems with removing the detachable parts, whether to replace or clean them. The removable plastic parts are usually dishwasher safe, though you should check the user manual of each individual model. For the best results, it is recommended to rinse the moving parts before putting them in the dishwasher. Masticating juicers work with mincing and other attachments which increase the function of the juicer to almost that of a food processor. The attachments can be included or sold separately. These may include pasta attachments for extruding pasta. Cool, huh? A masticating juicer is a juicer that uses pressure to extract the juice from vegetables and fruits. There are two main variants – vertical and horizontal. Vertical masticating juicers resemble centrifugal juicers in appearance and have a small footprint. Horizontal models tend to take up more space but the torque transfer is more efficient. Instead of relying on the speed of the cutting disc, a masticating juicer relies on the torque of the motor (transferred through reduction gears). Instead of cutting discs, masticating juicers use augers that slowly cut and grind the produce. First, you’ll have to cut the veggies and fruits into properly sized pieces, as masticating juicers tend to have narrow chutes. Make sure to remove hard seeds as appropriate. Once the produce is ready, you should put it in the chute and push it down. Next, the produce reaches the auger which cuts it into little pieces, separating the juice from the pulp. The pulp is automatically removed and sent to the pulp bin. The juice, on the other hand, is pushed through a strainer before it finally reaches the spout. Vertical models usually have built-in juice containers. Most of the horizontal models have adjustable spout flow. The search for a good masticating juicer should start with whether you want a vertical or a horizontal model. Vertical models save space, while horizontal models are more robust. After that, you should consider the power and torque of the motor. Quality gears are the key to high torque. A sturdy and reliable auger is a must. It is recommended to go with a model that has the most durable auger. Next, you should consider the build quality and ease of use. Go for BPA-free plastic and rust-free metal parts. The juicer should be stable even at the highest settings. Finally, you should consider how easy or hard it is to use and how long does it take you to clean it or install accessories such as mincing attachments. How versatile is a masticating juicer? 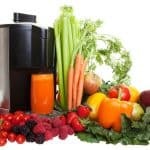 Aside from making delicious vegetable and fruit juices, masticating juicers can perform a wide variety of other tasks. You can use them to make nut butter, grind coffee and spices, and prepare smoothies, sorbets, ice cream, sauces, salsas, baby food, and much more. Sounds familiar? You or your friends may have a food processor that can do all that. Out of our best masticating juicers, the Omega NC900HDC Juicer Extractor stands out for it great torque. The juicer features 5 pressure settings and automatic pulp removal. 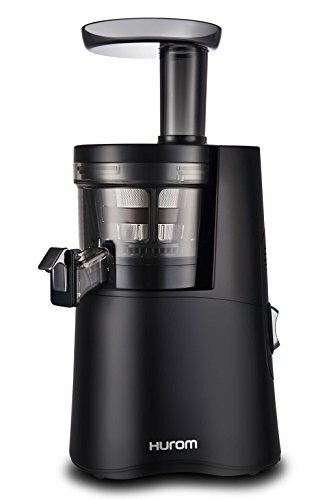 The removable parts are dishwasher safe and you can use the juicer to make juices, nut butter, ice cream, and sauces and to grind coffee and spices. If leafy greens make up the biggest percentage of your ingredients, you might want to go with the Omega J8006HDS Nutrition Center. This juicer is a champ at getting the most out of leafy greens with high yield and dry pulp.